Rabindranath, the greatest pote of bengali literature and music. 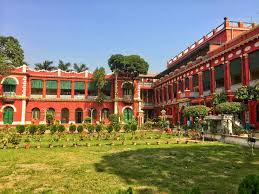 Rabindranath was born on May 7,1861 at Jorasanko in Kolkata. 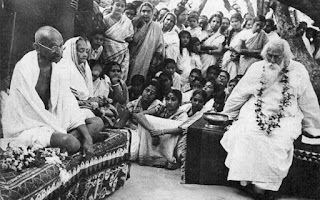 His parents were Maharshi Debendranath Tagore and Sarada Devi. Rabindranath was born and brought up in a very rich and cultured family. Rabindranath Tagore was the youngest of the thirteen children born to Debendranath Tagore and Sarada Devi. His father was a great Hindu philosopher and one of the founders of the religious movement, ‘Brahmo Samaj’. 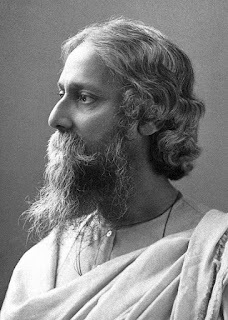 Nicknamed ‘Rabi’, Tagore was very young when his mother died and since his father was away most of the time, he was raised by the domestic help. When he was eleven, he accompanied his father on a tour across India. While on this journey, he read the works of famous writers, including Kalidasa, a celebrated Classical Sanskrit poet. Upon his return, he composed a long poem in the Maithili style, in 1877. He had his early school education at the Oriental Seminary and the Metropolitan Institution. But school life did not suit him. So, he continued his studies at home under private tutors. Then he went to England for higher studies. Rabindranath began writing poems ever since his very child hood. He got most prestigious Nobel Prize in 1913 for his outstanding contribution in the field of literature. This great educationist founded the Visva Bharati University at Shantiniketan 1902. Rabindranath was a great protest, too. He started the “Rakhibandhan” and renounced Knighthood in protest againest the Jalianwalah Bag massacre in 1919. This great poet of the world died on August 7, 1941, but his thoughts and ideas will never die.